“Adventurous Training in the south of France? 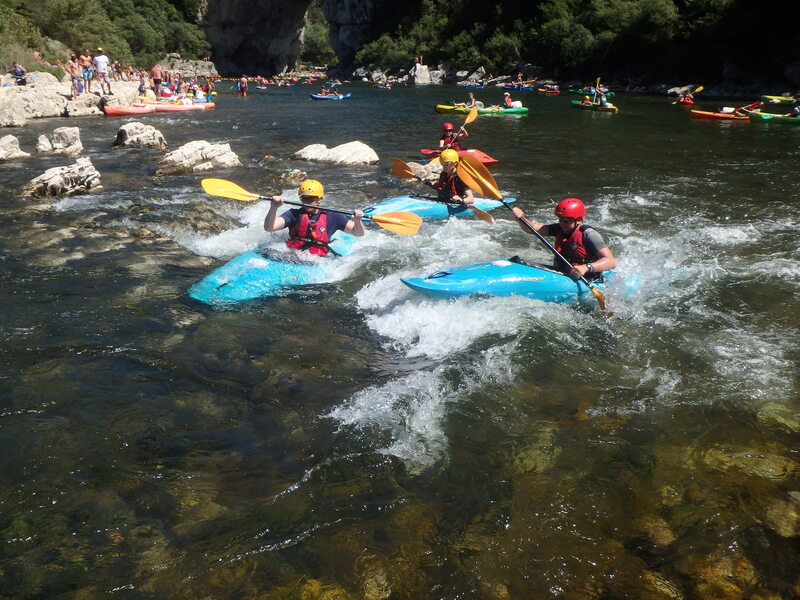 Come on, you are just off on a jolly!” These were the parting words from EMUOTC’s Adjutant to the group of six Officer Cadets about to embark on a ten-day 3* kayaking expedition on the Ardeche river. It may not have been a “Jolly” but it was a lot of fun and certainly hard work. We arrived at the campsite on a sunny afternoon after a long drive, Channel crossing and a slight detour into a village with streets too narrow for the minibus. After finally arriving and setting up, we had an introduction with our main instructor Mark and second instructor Sam. Here we discussed our expectations of the week and what we all wished to gain from it. Full of freshly baked pain au chocolat we began our first day’s training on the river. The river was delightfully warm, making the ideal training ground, as getting wet wasn’t a chore. This was a great contrast to our pre-exped training in Wales at Easter where capsize was a day ruiner. We focused on basic paddling skills in the morning and more advanced content in the afternoon such as rescuing capsized boats, moving in all directions, towing and preventing capsizing. On the second day we went downstream to have our first taste of fast moving water. We built up confidence in rapids and learnt how to successfully move from eddy to eddy and avoid boulders. Eddy hopping became competitive, the most skilled kayakers being able to manoeuver into all the eddies in a given set of rapids. We spent many happy hours on a section of the river which had been ominously named Carnage Alley. This set of rapids and natural choke point had been the downfall of many French tourists who would pootle down the Ardeche on hired sit-on-top kayaks, care free, helmet free and skill free. We would watch from the bank during lunchtime laughing at the pile ups and capsizes and when required used our newly learnt rescue skills. Whilst it was an amusing time it served to highlight how dangerous the river could be without proper training and equipment. At the end of Carnage Alley was a large surfing wave where the group would practice their white water skills and the game ‘king of the wave’, which would at times end abruptly with scream of ‘move’ from the rest of the group as a pile of upside down sit-on-tops headed towards the wave from upstream. One day started with an exhilarating ride down the shoot of a dam, taking advantage of the fast flow to practice rescues and improve ferry gliding across the river without being pushed downstream. An afternoon was spent learning how to swim out of rapids and rescue people from them using throwlines. This skill was practiced over and over throughout the week and lifesaving throws grew from mere meters to on target rescues. We also had a couple of sessions using the open boats, learning new skills and revising old ones. All members of the group attempted to right their capsized boat by using a roll, proving to be one of the hardest skills to master aside from paddling in a straight line. Those who were successful achieved their 3* qualification, however,all of the group managed to leave with their 2* and Foundation Safety & Rescue training. 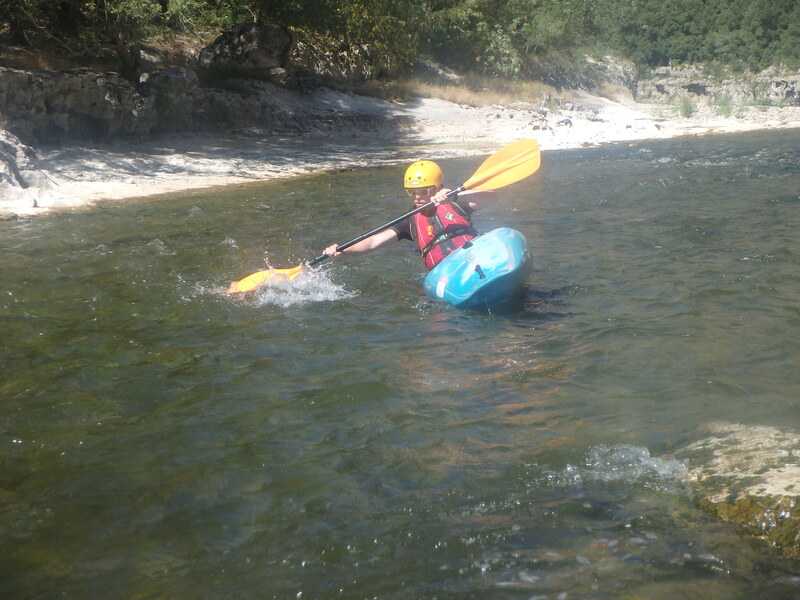 The week of training built up to the descent of the Ardeche gorge, which took an entire day to paddle. Previous expeds from the unit had done this in two days and with more river flow, so we had to go all out to make it to the end. 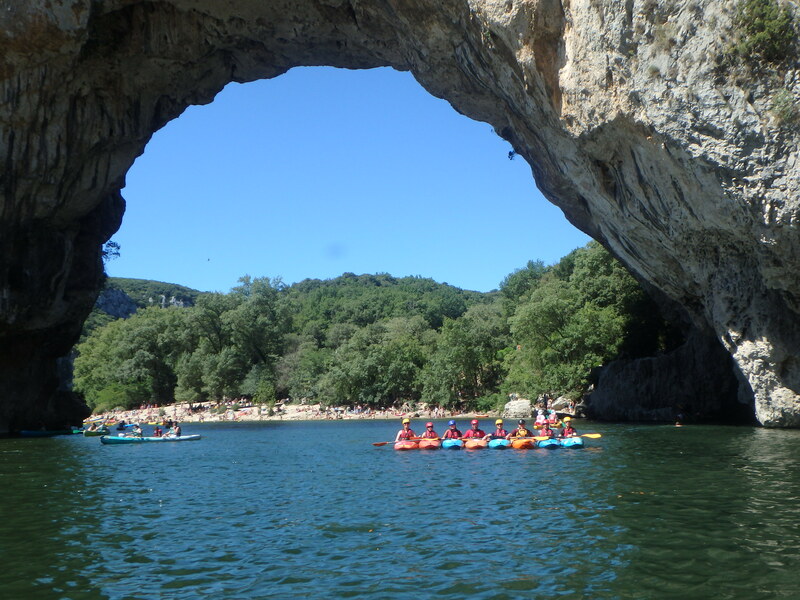 It was an opportunity to put to use our new skills and enjoy the stunning views of the Ardeche gorge. The end of which was celebrated with a meal out at a local restaurant and a much needed cold drink. Ex DRAGON FLOATING EMU was a fantastic expedition and whilst we all learnt technical kayaking skills, attained qualifications and had the fun of playing in rapids, the trip gave us all much more than that. 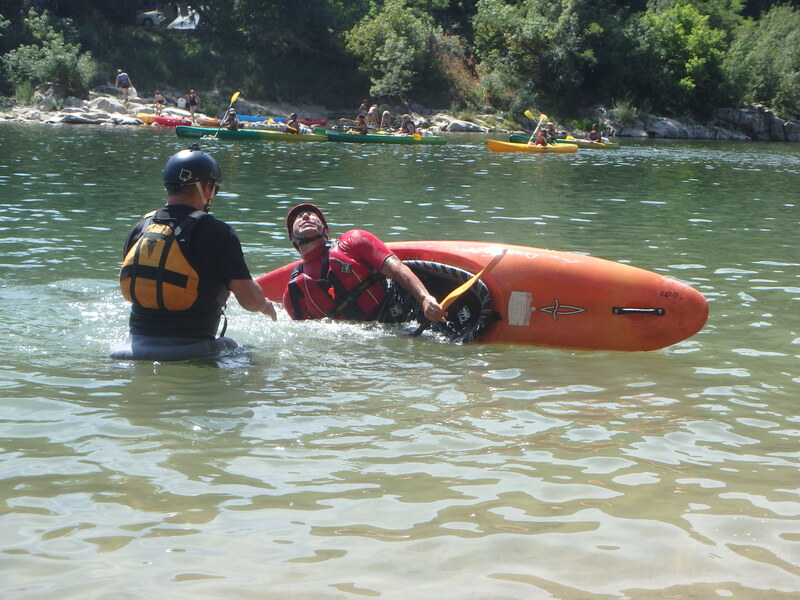 The jump from a flat water lake to moving water river requires individuals to work as a team, look after each other and when required effect rescues of fellow paddlers. By the end of the week we had all taken that on board and our teamwork, leadership and group awareness had improved significantly. Finally EX DRAGON FLOATING EMU would like to take this opportunity to thank the Ulysses Trust for their support. The great success of the expedition was in no small part down to their generous funding. The continued backing of adventure training makes it possible to provide low cost unit led training to UOTC Officer Cadets, backing which is gratefully received.